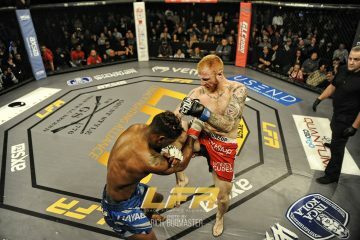 Lucas Martins is fortunate to be in his current position heading into the 18th effort from the Brave Combat Federation. 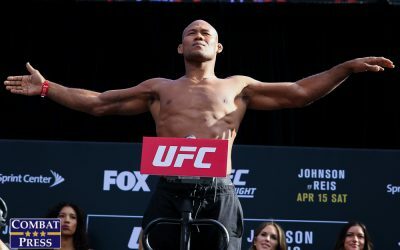 In April, the UFC veteran was down on the scorecards in the fifth round of a battle for the Brave CF interim lightweight strap. With just four seconds remaining in the contest, his opponent, Luan Santiago, suffered an arm injury that gave Martins the TKO victory and the title belt. Now, Martins attempts to win the undisputed belt when he meets Abdul-Kareem Al-Selwady. Will fortune favor Martins again, or is Al-Selwady capable of pulling off the win? 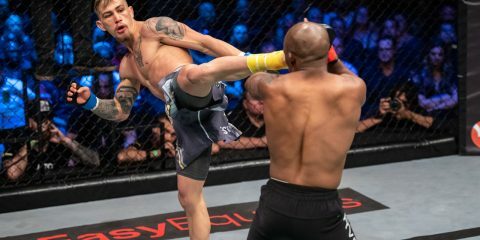 The 30-year-old Martins extended his post-UFC winning streak to four fights when he scored the lucky win over Santiago. His release from the UFC came on odd terms, however, when Martins was let go after winning his UFC Fight Night 86 outing against Robert Whiteford. “Mineiro” had his ups and downs inside the Octagon, where he compiled a 4-3 mark. His UFC wins came against Jeremy Larsen, Ramiro Hernandez, Alex White and the aforementioned Whiteford. Meanwhile, he suffered losses to Edson Barboza, Darren Elkins and Mirsad Bektic. His fight with Elkins ended in a split decision. The Chute Boxe product has scored finishes in his three most recent affairs to bring his career totals to 12 knockouts and five submissions. 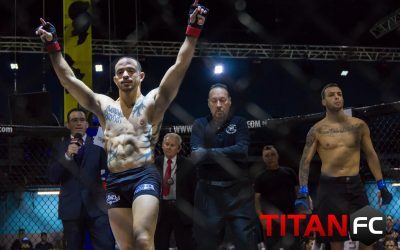 Al-Selwady, 23, might be called the “Pride of Palestine,” but he was born in the United States and fights out of the Dallas-based Fortis MMA camp. 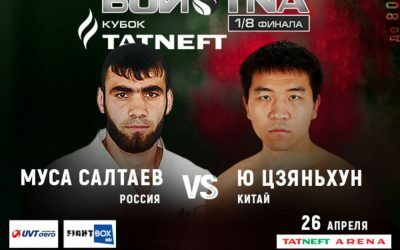 The young upstart debuted in 2012 under the Desert Force banner and marched his way through three tournament opponents within a year to claim the promotion’s vacant featherweight crown. He made one successful defense of the belt before relinquishing it to Aziz Julaidan in a TKO loss. Al-Selwady rebounded with one more victory while competing for Desert Force, but then made his way to Brave CF. He won his first two fights, both by stoppage, at featherweight. His two most recent affairs came at lightweight, where he scored a TKO finish of The Ultimate Fighter: Brazil 4 participant Erick da Silva and took a decision nod over Charlie Leary. Al-Selwady is a rising star in the Middle East region, but his biggest victories have come against veterans who have struggles to find footing in the big show. Martins might have been released by the UFC, but he’s hardly the typical UFC castoff. He won his last Octagon outing, and his only losses came to established UFC fighters and fringe contenders. The Brazilian is also a knockout artist set to fight an opponent who also likes to throw hands. This is likely to turn into a learning experience for Al-Selwady, but it could signal a star turn for him if he pulls out a victory. The former is the more likely outcome, though. Martins is an aggressive striker who found a respectable amount of success on the world’s biggest stage. His three losses came against some of the best fighters in the world, and Al-Selwady doesn’t come close to that level of talent at this early stage in his career. 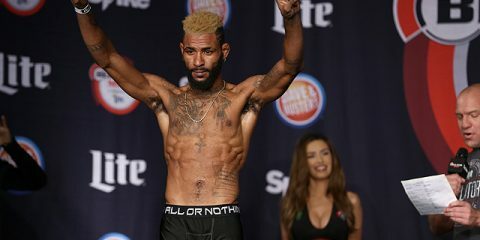 Martins should make use of his Muay Thai skills and finish Al-Selwady to become the undisputed king of Brave CF’s lightweight division. 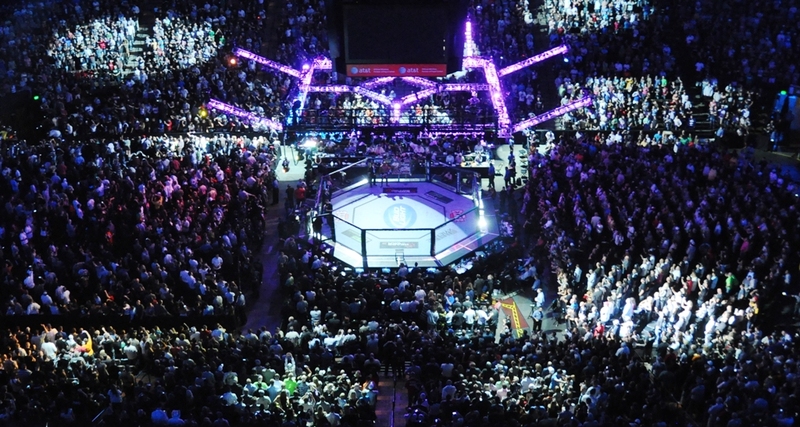 It’s no secret that the Legacy Fighting Alliance is a springboard to the UFC. On Dec. 8, at UFC 231, the UFC will crown a women’s flyweight champion. 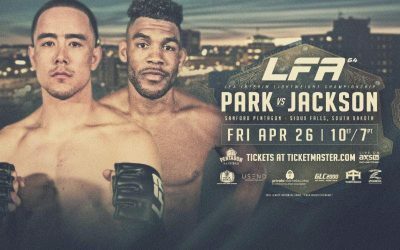 The LFA’s Sabina Mazo will surely have her eyes on that bout, especially if she remains the LFA women’s flyweight champion after Friday’s LFA 54 main event. Mazo is set to defend her title against Carol Yariwaki. Despite three years in this sport, Mazo, a Kings MMA and Muay Thai Medellin disciple, is still light on pro fights. However, she’s made a big statement through her first five fights. In her pro debut, the “Colombian Queen” scored an upset over rising countrywoman Alejandra Lara, who entered the bout with an unblemished record through four fights. 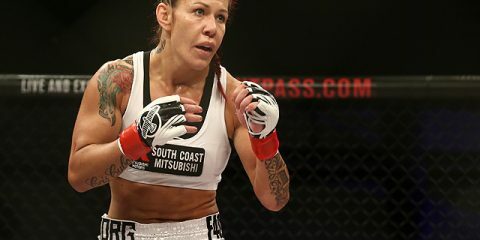 It was a hard-fought victory, but Mazo demonstrated her strength in the clinch, a dangerous submission attack and a stiff but effective striking arsenal. 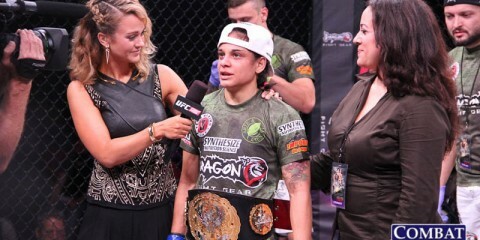 The 21-year-old’s second victory came against eight-fight veteran Reina Cordoba, who also entered the cage with a perfect record before dropping a split verdict to Mazo. After a lengthy layoff, Mazo finally returned to action in 2017 and scored head-kick knockouts of Jamie Thorton and Linsey Williams in her first two LFA appearances. This set up a title fight for Mazo against Shannon Sinn. Mazo outworked Sinn to claim the unanimous decision and the LFA belt. The 31-year-old Yariwaki has had a few more struggles on her own path to this fight. “Japa” debuted in 2016 and won three fights in less than two months. Her fourth pro outing ended in a decision loss to mediocre fighter Deize de Lima. The Brazilian quickly returned to the win column with finishes in her next three affairs. This led to a Shooto Brazil 76 showdown with Simone Duarte, but Yariwaki emerged on the wrong end of the scorecards. Yet again, she bounced back with a stoppage win. However, that win came on the Brazilian regional circuit, and this title scrap is also Yariwaki’s LFA debut. Mazo isn’t always a dominant fighter who runs away with the victory, but she sure can stun opponents with her head kick. Her first two fights were very close affairs, but she connected with kicks to end her next two outings in the first round. The Colombian has a solid skill set that encompasses the ground game and the stand-up. Her biggest weakness is in defending against takedowns where her opponent changes levels and shoots in. Mazo tends to immediately tumble to the mat in this scenario, but she never stops working from the bottom position. She attacked both Lara and Cordoba with triangle chokes from the bottom, and even took Cordoba’s back after Cordoba landed a perfectly timed takedown in the second frame of their fight. If an opponent doesn’t change levels effectively, Mazo is much better at defending the takedown and turning it in her favor, as she did to Cordoba in round three of their fight. At 5-foot-7, Mazo has a very lanky frame and long reach. The big concern for Yariwaki is in the level of competition she has seen. She was decisioned by a 5-3-1 fighter who is now 6-6-1. Her other loss came on the biggest stage of her career to that point, and it came against the best fighter she has encountered until now. Meanwhile, her wins have come against foes who now hold a combined 3-22 mark. In that group of seven fighters, “Japa” defeated four fighters who remain winless to this day and never fought an opponent with more than one pro victory. Mazo’s biggest struggle might involve not looking beyond her current opponent. If Mazo remains focused, it’s difficult to see any outcome here beyond a one-sided drubbing. Yariwaki’s 7-2 mark may look respectable on the surface, but it’s an awfully padded mark. The LFA newcomer has a lot to prove against Mazo, but she might be outgunned here by a far superior opponent. Mazo should easily claim the win, which might be enough to grab the attention of the UFC brass. Lucas Martins isn’t the only fighter in this week’s preview to depart the UFC following a win. Exhibit two: Erik Perez. 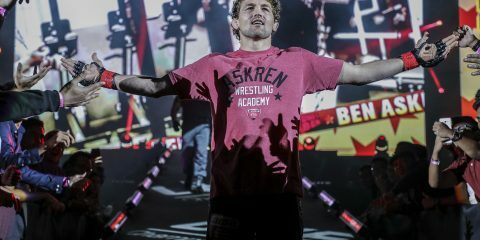 The bantamweight fighter even reeled off three straight Octagon wins before bidding the promotion adieu. However, Perez left the UFC as a free agent after fighting out his contract, and he landed in Combate Americas when the Mexican-focused organization offered him a better deal than the UFC. Perez won his Combate debut in April, and now he returns to battle Andres Ayala in a featured bout from the promotion’s 26th offering. Perez, who was born in Mexico, stumbled through his first two pro bouts in 2008 before finally finding his groove. He racked up five straight wins before another set of back-to-back losses. “Goyito” recovered with another three wins to land a contract with the British BAMMA organization. Following two wins with BAMMA, Perez joined the UFC and won his first three Octagon outings. His first UFC loss came in a split decision against Takeya Mizugaki. 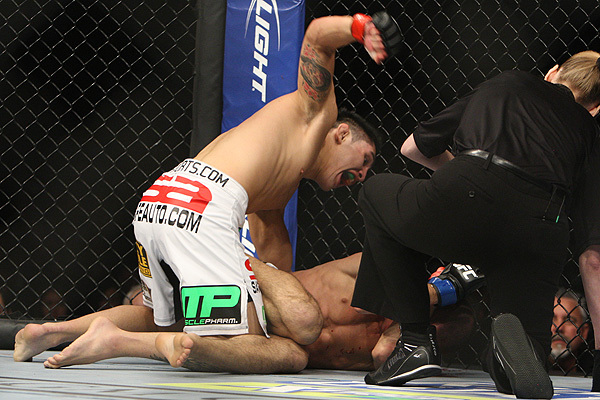 Perez got back on track in his next fight, but slipped again when he was submitted by Bryan Caraway. Perez dealt with injuries and fight cancellations that kept him sidelined for more than a year, but he won three straight upon his return. The last of those fights came against Felipe Arantes and ended in a split verdict favoring Perez. However, “Goyito” also injured his knee in the bout and was back on the shelf for more than a year before making his Combate debut. Ayala is a Colombian fighter who practices the art of ninjitsu. He has had a roller-coaster of wins and losses throughout his career, which kicked off in 2011. Ayala scored stoppages in his first three fights, but then he suffered a loss to Fredy Serrano, who went on to compete on The Ultimate Fighter: Latin America and in the UFC. Ayala won just three of his next five fights. In 2015, he began the longest winning streak of his career. 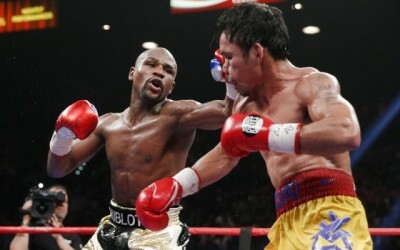 It spanned four fights and included three finishes, but only one of his opponents had more than one pro victory. The Bonebreakers MMA export has run into another rough stretch recently in which he has won just two of his last five fights. Much like the LFA bout between Mazo and Yariwaki, this affair looks far more competitive on the surface. Ayala has plenty of stoppages in his favor, and he demolished a veteran opponent in 35 seconds with strikes, but his resume is built primarily on victories against inexperienced opponents. Perez was a solid UFC bantamweight until his injury and free agency took him away from the promotion. The 28-year-old Perez hasn’t shown any ill effects from his time away and returned with a victory over DJ Fuentes that avenged a 2010 submission loss. Ayala is in for an uphill battle in this contest. Sure, he could land a perfectly timed strike that rattles Perez. However, it’s far more likely that Perez uses his balanced attack to exploit Ayala’s weaknesses, especially on the mat, to take his second Combate victory.